Is there a limit on how many different textures a woman over 50 should wear at one time? I hope not. 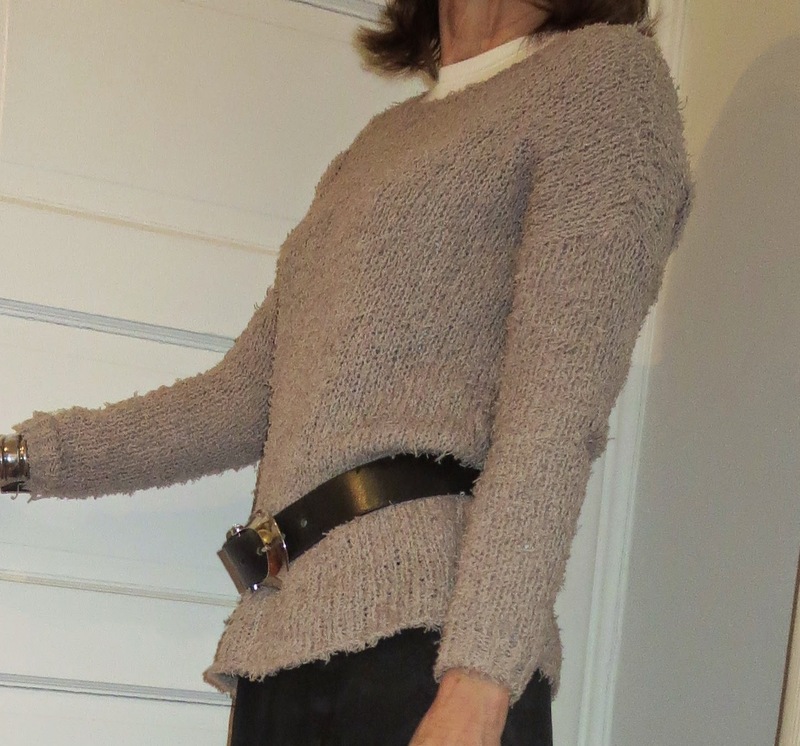 For today's in-between snow storms look, I've combined a black moto jacket, a light grey fuzzy sweater, a lace midi skirt and black leather boots. The sweater is new to me, though not exactly new. I've been looking for a fuzzy sweater for some time now, but couldn't find one I liked and could afford. Then, a week ago, a friend was visiting and I took her to Second Time Around, a chain of second-hand stores that specializes in "gentle used" designer fashions. My friend and I stumbled upon the store's winter clearance sale and I got this Vince fuzzy sweater for a steal. Here's a better look at the sweater's fuzzy texture.